As Pee-wee traveled around the city, people were watching as he checked in to various locations, including City Hall, the Apollo Theater and Katz’s Deli. Interest picked up further when people began unlocking a special Pee-wee Herman badge by checking in to three of the locations Pee-wee did. All over New York, people were checking in with him (regardless of whether they were actually there with him) in order to get the badge. Once they did, they received a message saying to show up at the theater to pick up a surprise. At around 5:30pm, people lined up at the Stephen Sondheim Theater to receive their surprise, which turned out to be t-shirts, bow ties and stickers to promote the show. The highlight of which was actually receiving the stickers from Pee-wee himself. 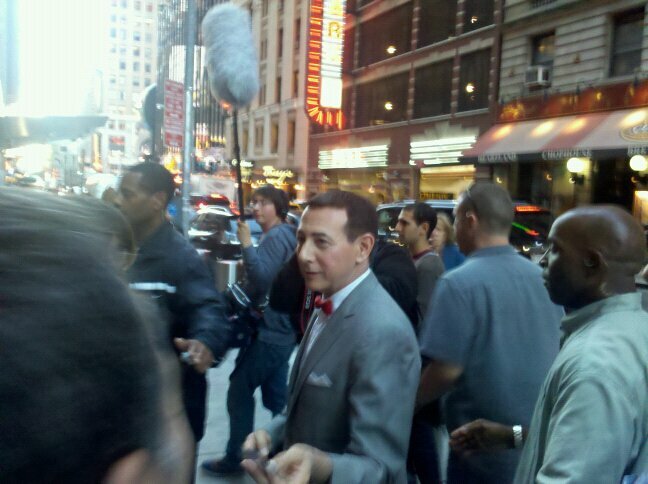 For the fans who attended, there really was no better surprise than actually seeing Pee-wee in person. As virtual badges lose their novelty, users want something more. By having a real world component, like finding Pee-wee and receiving t-shirts, it gives a physical component to this ethereal reward system. Rather than just using badges to control user behavior, the physical rewards give the potential for another level of user engagement. Pee-wee was able to not only reward people for following him around the city (or pretending to), he was able to promote his show and build user engagement with the enticement of a real world surprise. Rather than the more recent partnerships with health apps that will give you extra badges for exercising, people were actually excited about what Pee-wee was doing and tried to get involved. With the New York Comic Con coming this weekend, the digital comic book distribution company Graphic.ly have implied they are planning to do something similar, where users will need to check in at some comic book related locations to receive a badge that will get a reward at the convention. I look forward to seeing how they handle their promotion and if they build the interest that Pee-wee did through virtual means while people swirl around them viewing the four color arts. 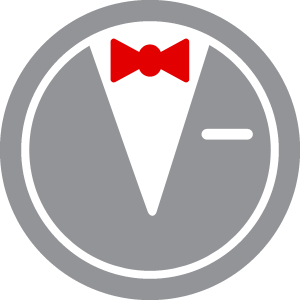 It seems that physical rewards for virtual behavior may become an emerging trend if promotions like Pee-wee’s and Graphic.ly’s continue. As interest wanes among the Foursquare early adopters, it may be promotions like these that reengage their usage of the app and brings them back to repeated check-ins with all they do.